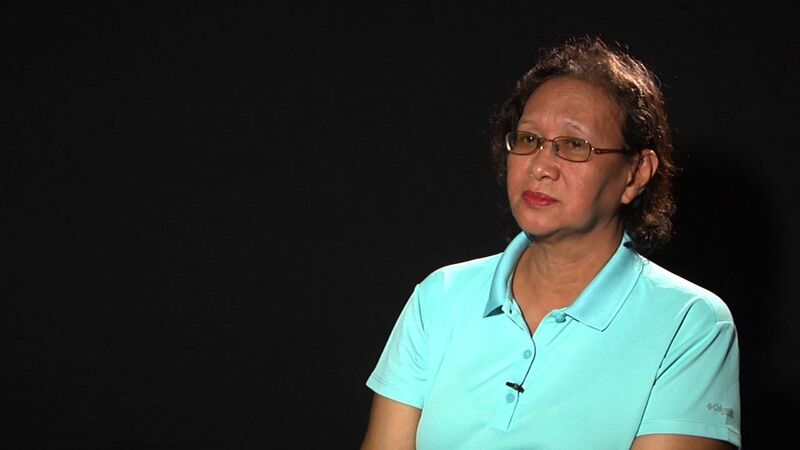 More than 40 years after she and her husband were arrested in 1974, Marie Hilao-Enriquez remains adamant against a repeat of the widespread human rights violations committed during the Marcos dictatorship. Enriquez, now 62, said the torture they suffered would only push her to continue the fight against threats to human rights. She made the remarks on the 30th anniversary of the EDSA Revolution that forced Ferdinand Marcos out of Malacañang. Enriquez also recalled the case of her sister Lilie, a scholar and student activist. Liloe was taken members of the Philippine Constabulary and after two days, she was found dead inside Camp Crame. She was said to have been tortured and abused. “Double murder na ang ginawa sa kapatid ko kasi mukhang patay na siya, noong i-autopsy, iyong utak nakita sa parte ng digestive system at iyong internal organs ni Lilie, wala na,” Enriquez said. While the horrors of Martial Law remained vivid in Enriquez’s mind, the present generation seemed oblivious to the tragedies that fell on many Filipinos during the Marcos regime. “Hindi po masyado eh kasi siyempre hidi ko naman po inabutan iyong mga ganoong klaseng pangyayari. Sa akin, mga kwento-kwento ng mga matatanda,” a 22-year-old told GMA News. A senior citizen said those that witnessed and experienced Martial Law must have fallen short of telling the youth about those years. “Nagkulang din tayo siguro sa pagkuwento sa mga kabataan kasi sa mga kabataan siyempre malay nila,” he said. “Kaya dapat talaga, ito malaking bagay ito na siguro buhayin natin ang pagtuturo sa bagong henerasyon na ito ang pinagdaanan natin. Masakit,” he added.